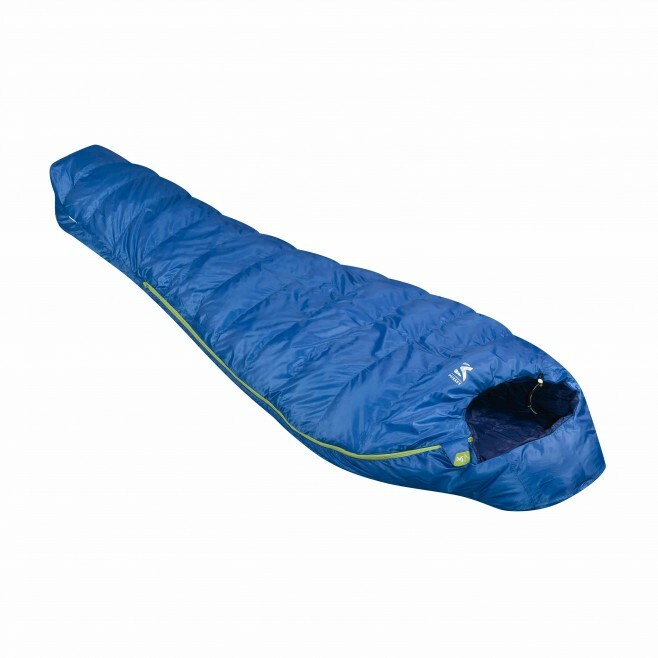 " This three-season sleeping bag is designed for the dynamic alpine enthusiast and built to offer a light and packable thermal protection for your alpine adventures. LTK Series The Alpine LTK 600 casts 200 grams of comfortable and warm duck down which offers an unrivalled warmth-to-weight ratio because it traps lots of air that will ultimately be kept warm by body heat. The down will also recover all of its puffiness after having been packed. A full length zippered opening with anti-cold flap allows you to slip in. The mummy fit is close to the body and snug, reducing the amount of air you have to heat up, thus keeping you warm more easily. The bag itself is made of an ultra-light and water-repellent polyester ripstop fabric chosen for its abrasion and tear resistance and lightweight qualities. It protects the bag from scratches and the down fill from being exposed while remaining packable and easy to carry. The Jet Pack Systemquick compression sack is built flat into the hood and lets you roll up the bag and tie the sack very easily. No need to compact the bag in another one. It packs as small as a bottle size, thus it will free some space inside your pack. Average weight: 0,600 kg / 1lb 5oz"